Poet Doctor Keith Armstrong, who gained his doctorate at the University on Durham in 2007, following on from Bachelor's and Master's degrees there, first visited Tuebingen in November 1987, with the support of the County Council and the Kulturamt in Tuebingen, to give readings and talks for a period of a month. Since then he has travelled to the city over 30 times and helped arrange for Durham poets, musicians and artists and their counterparts in Tuebingen to visit their respective cultural twins. NOW A UNIQUE ANTHOLOGY HAS BEEN PUBLISHED TO CELEBRATE THIRTY YEARS OF THE LITERARY TWINNING. 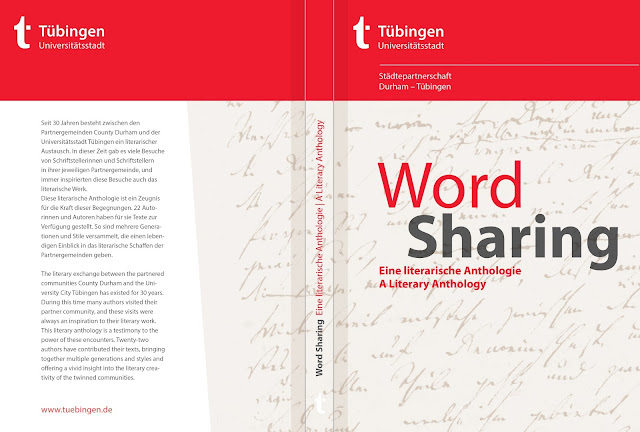 IT WILL BE LAUNCHED AT THE KULTURHALLE IN TUEBINGEN ON FRIDAY NOVEMBER 17TH AT 18.00. ALL ARE WELCOME TO JOIN THE CELEBRATION. THERE WILL BE A SIMILAR EVENT IN DURHAM AT A LATER DATE (TO BE ANNOUNCED). People meet, get to know one another, exchange views – and each time something is left behind: a memory, a thought, a connection, an idea which can go on to have a significant impact even many years later. Twinning, or city partnering, harnesses the very power of meetings to constantly open up new possibilities for citizens to break down barriers. This was why County Durham and the university town of Tübingen first became partner communities in 1969. Many individuals care for and promote this link, which brings together schools, experts, artists, musicians as well as politicians. This is what twinning relationships are all about; strong commitment on the part of people and associations who enjoy taking part in exchanges and which leave an unforgettable and long lasting effect on them and their communities. 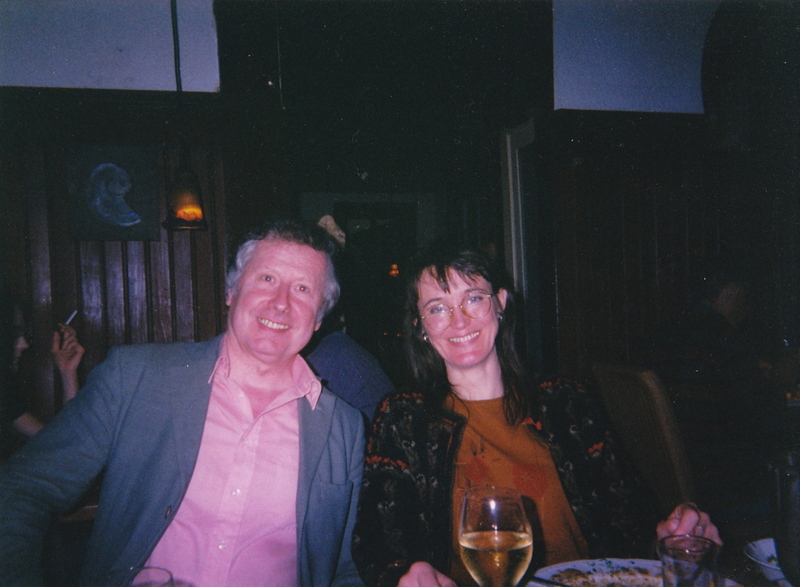 One individual in particular stands out in this ongoing exchange between Durham and Tübingen; someone who has connected both places on a literary level for not just a few years, but more than three decades – author, poet and publicist, Dr Keith Armstrong. Thanks to his commitment over the past 30 years, more than 30 authors have found their way to their respective partner regions to seek inspiration for their work. On the 30th anniversary of Keith Armstrong’s first visit to Tübingen in 1987, this publication seeks to serve as a testament to the strength of the partnership, as well as acknowledging those who have taken part in the project and as a chronicle of all their achievements. Twenty-two authors have contributed their texts, bringing together multiple generations and styles in this anthology which offers a vivid insight into the literary creativity of the twinned communities. pecking at old folks' bones. lingering in the winter’s gutters. and the glitter of ice under the moon. on the flow of the Neckar’s infernal gurgle. I will sing again in Tuebingen. I will kick out the glass on Melancholy Street. see Hoelderlin brood on a raft.